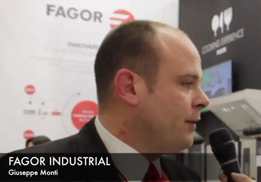 Fagor Industrial is the leading manufacturer of machinery for the hotel and catering sector in Spain and tenth in the world. A multi-product manufacturer with an all-round integral offer. Global solutions accompanied by integral services for the catering professional. Fagor Industrial is one of the few brands at international level to manufacture such a broad range of products: ovens, cooking equipment, dishwashers, laundry equipment, industrial cold refrigeration and buffets or stainless steel elements made to measure.